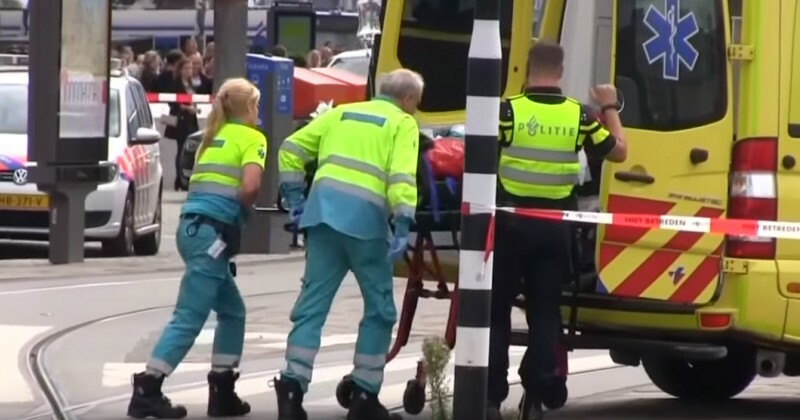 The Afghan migrant who stabbed two American tourists in Amsterdam says he was motivated by people in the Netherlands insulting Islam and the Prophet Muhammad. The jihadist also mentioned that he was offended over statements made by right-wing Dutch politician and strident Islam critic Geert Wilders. The two American victims of the terror attack remain in hospital with serious injuries. As we reported last week, Wilders was forced to cancel a ‘draw Muhammad’ cartoon contest in Amsterdam after terrorists threatened to attack the event. Wilders made the decision after an Islamist posted a video to Facebook announcing he was in the Hague and ready to kill the Dutch politician. Islamic terrorists and their sympathizers have targeted high profile individuals for assassination before in the Netherlands as payback for criticizing or making fun of Islam. In 2004, Theo van Gogh, who worked with Somali-born writer and politician Ayaan Hirsi Ali to produce a film which criticized the treatment of women in Islam, was shot dead by an Islamic terrorist who was offended over the documentary. The murder prompted Geert Wilders and Ayaan Hirsi Ali to go into hiding for weeks, with Ali eventually leaving permanently for the United States. In 2002, homosexual Dutch politician Pim Fortuyn, a staunch opponent of mass immigration and the spread of Islam, was killed just days before a national election by a left-wing activist who said he murdered Fortuyn to stop him from exploiting Muslims as “scapegoats”. Infowars has been banned by Facebook. Please share this video on your own Facebook page to help us fight censorship.